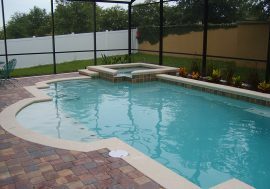 You want a pool deck that lasts for years, a deck that not only looks beautiful but also adds value to your home. 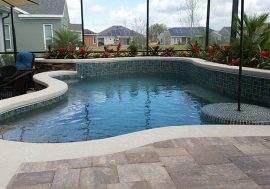 Swimming pool deck pavers are the way to go. 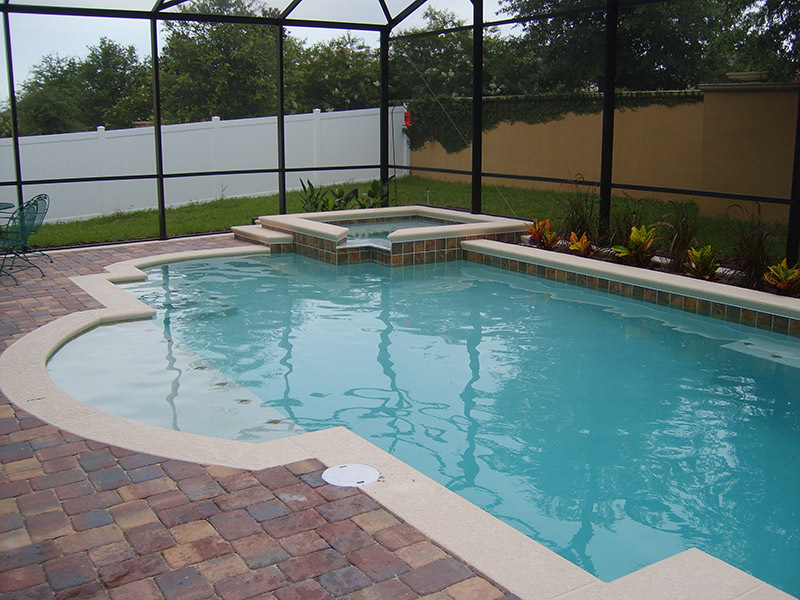 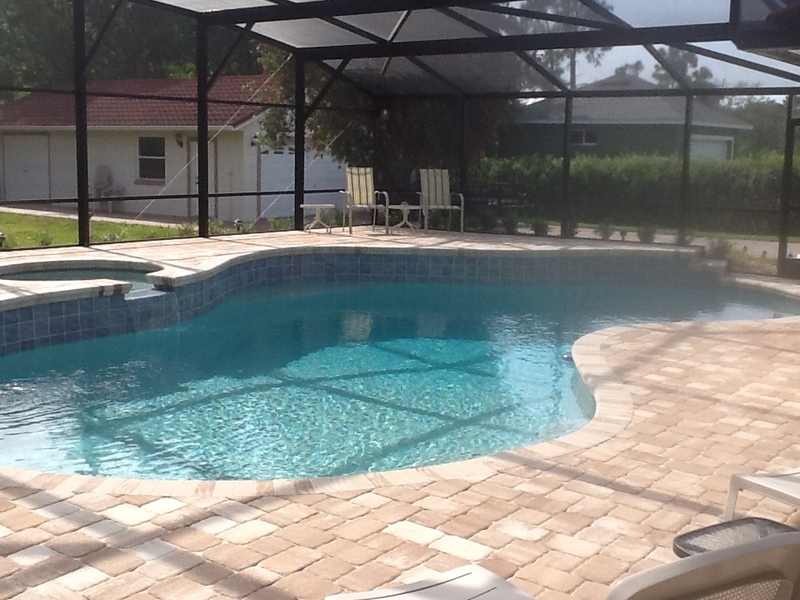 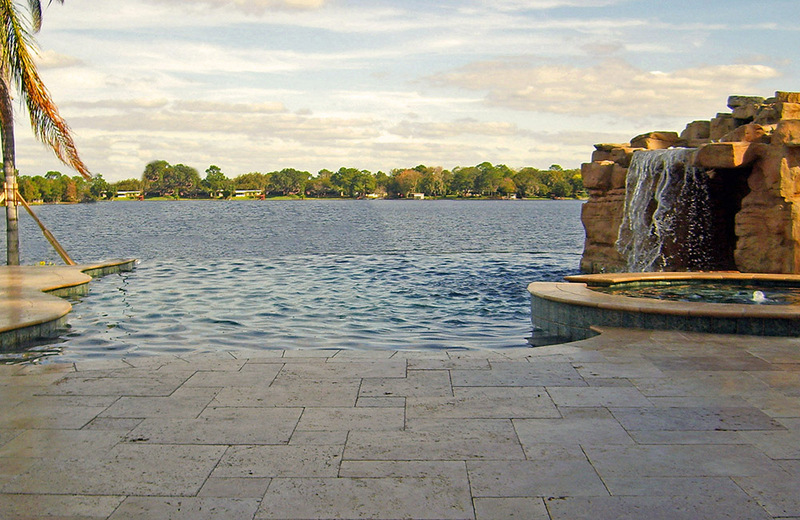 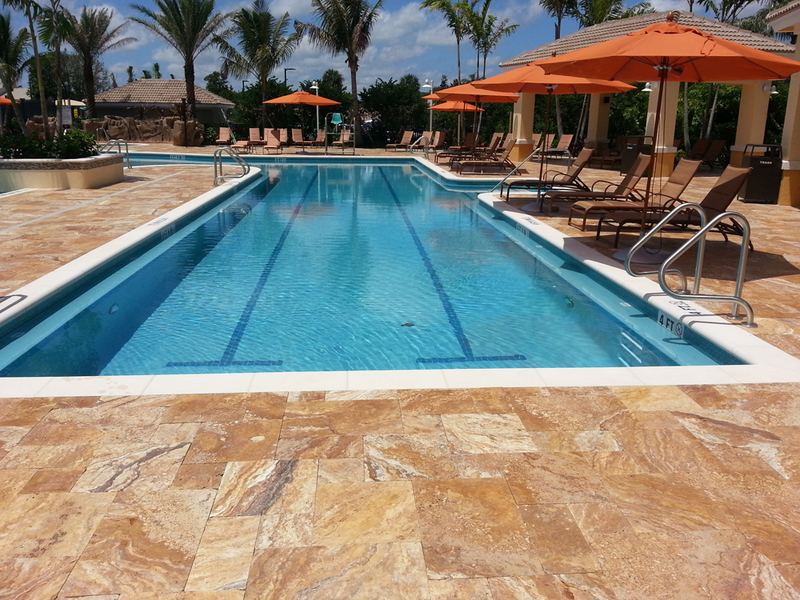 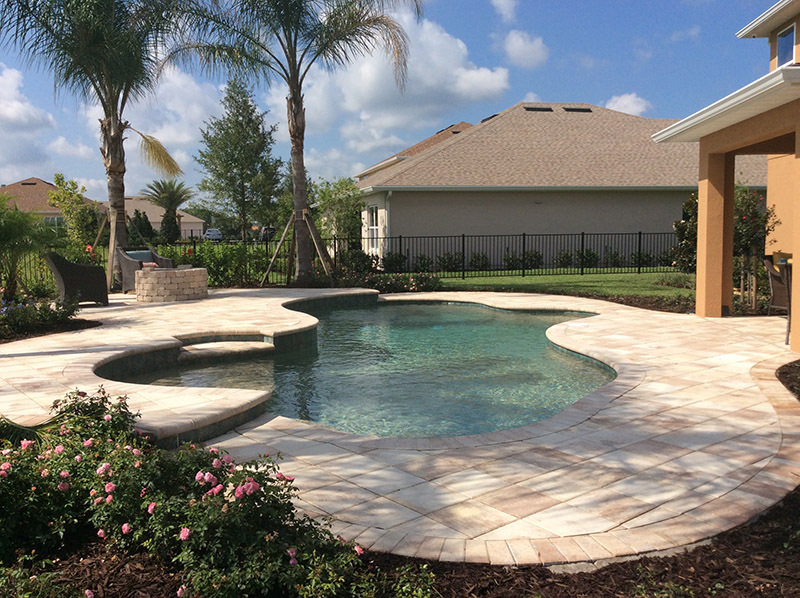 Pool deck pavers do what concrete slabs do not: They hold up to the extreme heat and weather conditions in Florida. 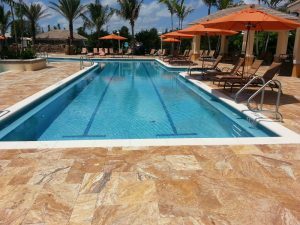 Pavers also come in many different colors, shapes and sizes to create a variety of pool deck designs. 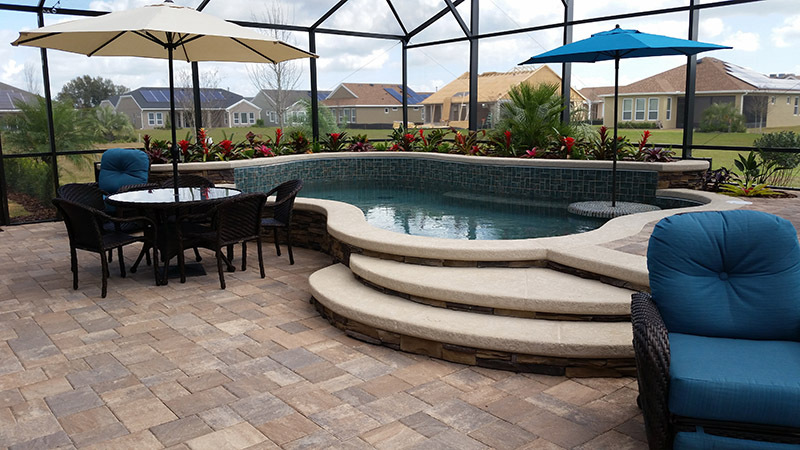 The right pool patio pavers are versatile enough to use elsewhere in your yard, too.Whether you’re looking to upgrade your concrete deck or install a new pool, choosing pool deck pavers from the start saves you a lot of hassle in the future. 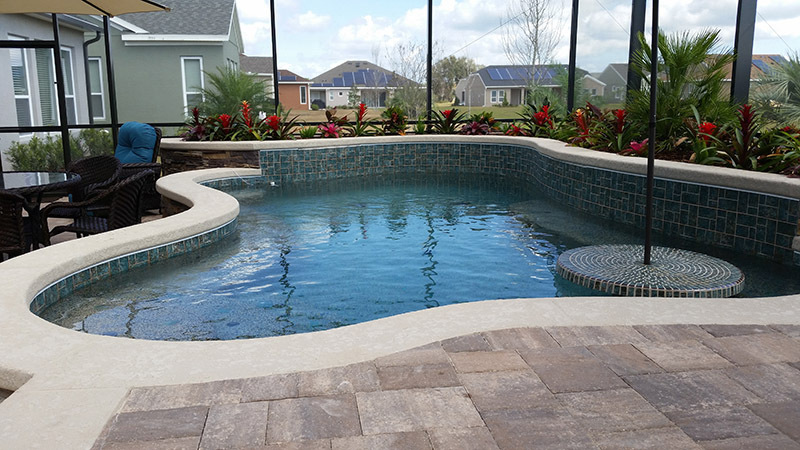 If you want a durable pool deck that reduces your maintenance costs, adds resale value and beautifies your outdoor space, choose pool deck pavers for your installation. 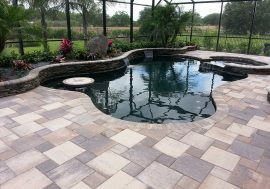 Pavers come in a wide range of colors and patterns, giving you numerous options for designing the perfect deck for your pool. Don’t forget, you can also complement your driveways and walkways with pavers for a cohesive look throughout your property. 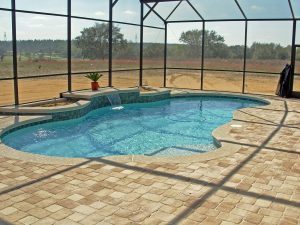 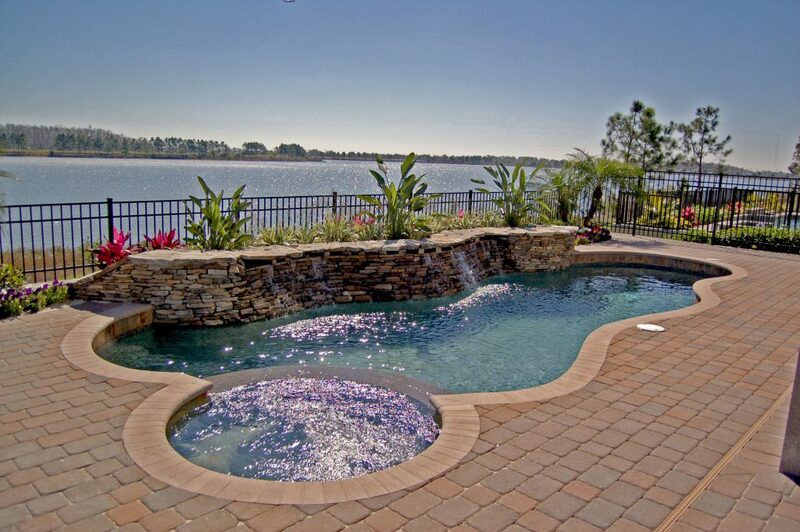 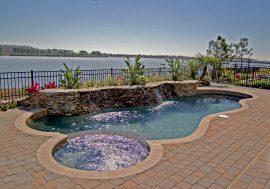 Take a look at the types of pool pavers available to find the best pool pavers for you. 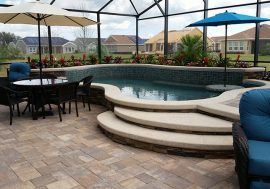 Brick pavers do more than just make your pool stand out in the yard; they also withstand cracking and other weather-related damage. 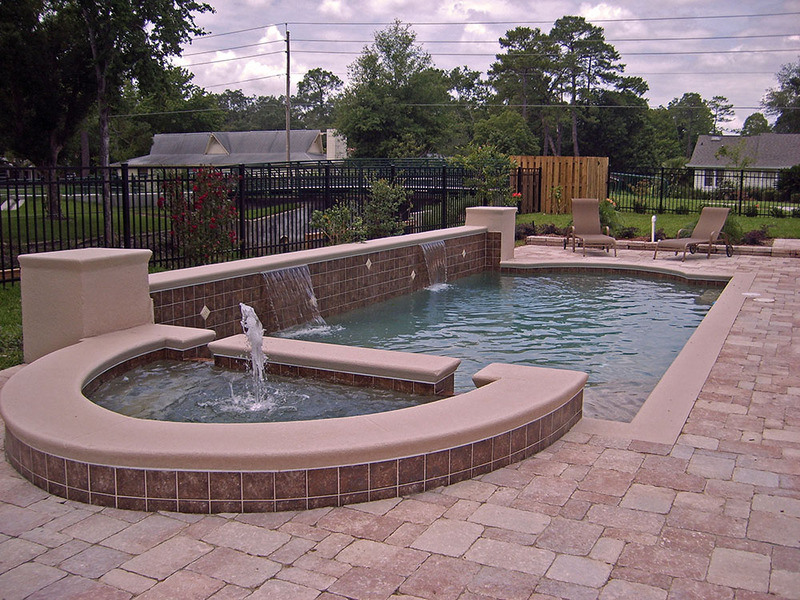 Concrete slabs don’t add value in any way, and they crack easily over time due to pressure and direct sunlight. 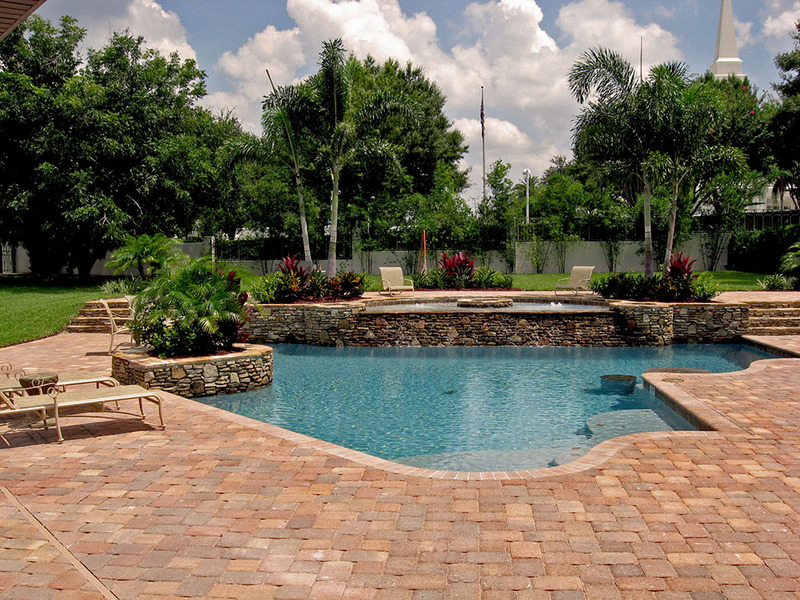 If a brick paver does chip or crack, you can replace the single brick paver without worry. 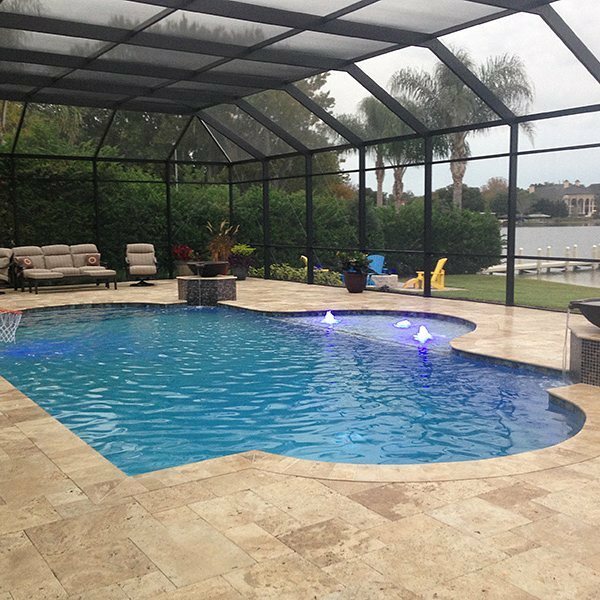 With concrete, you’d have to fill and cover the cracks as they show up or hire someone to come in and pour a new section. 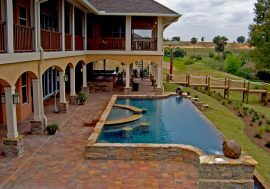 Nothing beats the appeal of natural stone pool deck. 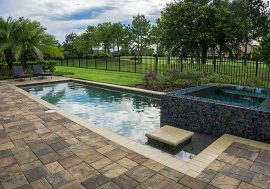 Natural stone pool pavers help create a more stress relieving environment because stone pool pavers enhance the idea of nature.Stone blends in with its surroundings, making the pool deck look like it’s a natural part of the landscape. 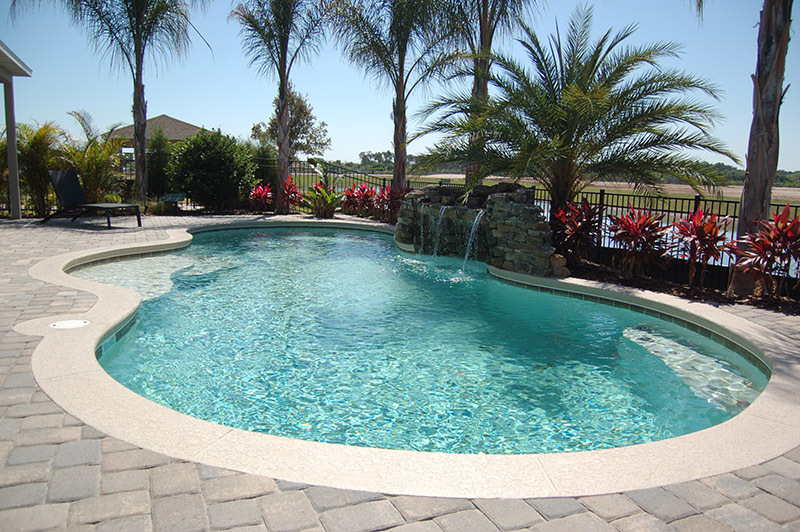 Stone not only visually enhance your yard but also provide a nonslip surface for added safety around the pool. 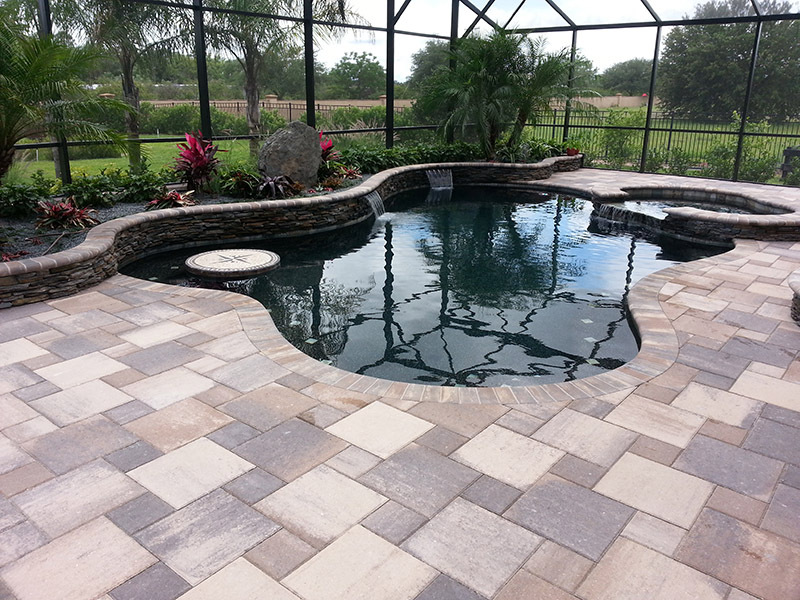 That means stone patio pavers can make your pool area safer even when it’s wet. 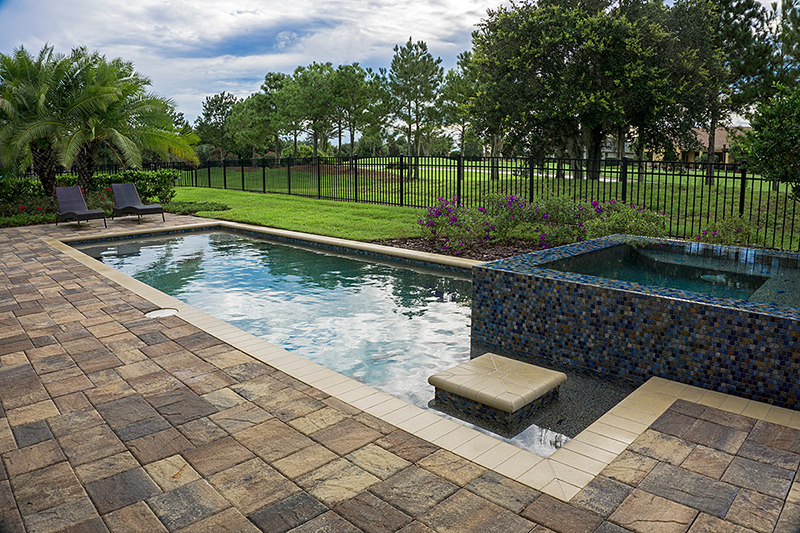 Like brick deck pavers, you can replace a stone in case it gets damaged. 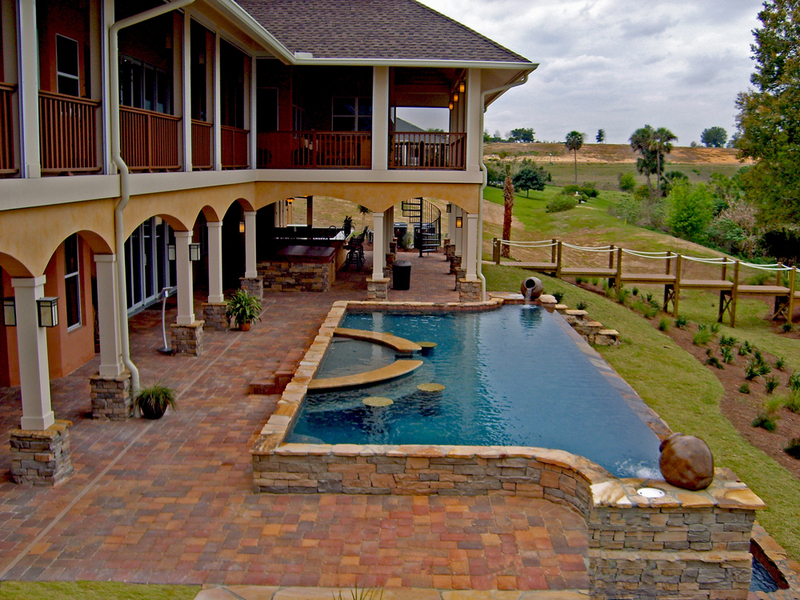 In addition, brick pavers and stone decks work well for other areas in the yard, such as driveways and walkways. 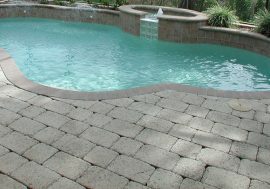 If you want the benefits of deck pavers and the smooth look of concrete, go with concrete pool deck pavers. 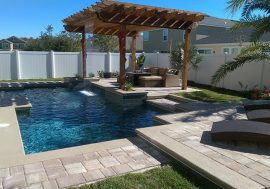 Concrete pavers also come in many different colors and can be arranged in any way for a custom look. 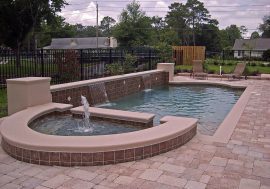 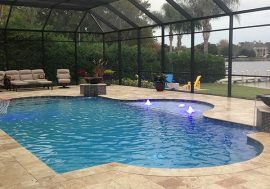 Concrete pool pavers are easy to care for because with concrete pavers, you don’t have to worry about replacing an entire slab if it cracks or buckles. 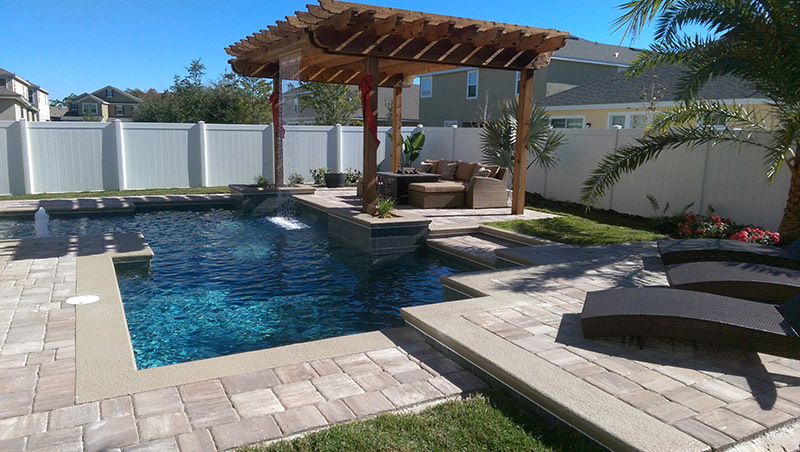 You can just replace a single paver and carry on without worry. 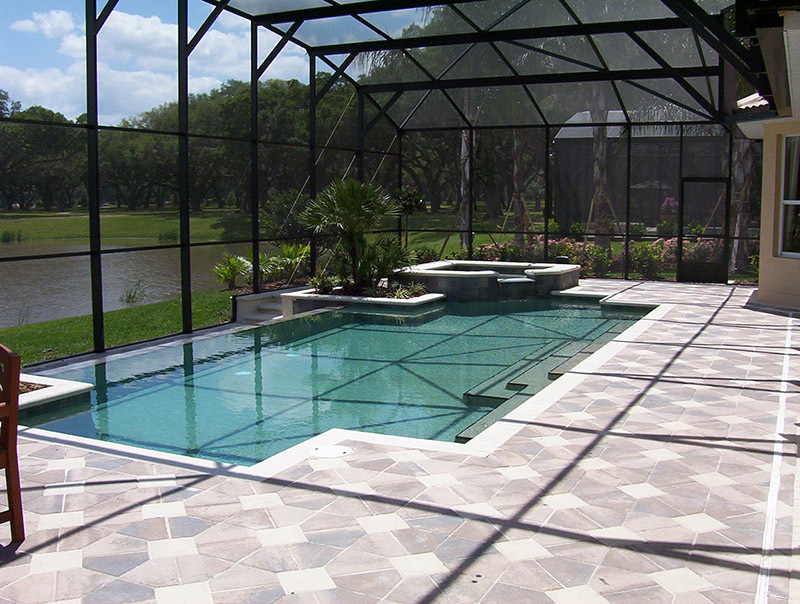 Concrete patio pavers are often the easiest pavers to match because they are made from a mold.